So you’re wondering, “what the heck”? Let me preface by saying “Frankenstein” is what the sweet girl I know, who is suffering with Neuroblastoma, calls Frankincense! I thought it was adorable – so I stole it. Next up, shingles! Yeah, if you don’t know what shingles is, you’re damn lucky. Shingles is chicken pox’s mature, bitchy sister. If you’ve met chicken pox, you could likely meet shingles some day. Pray you don’t! Or… Keep Young Living’s Thieves and Frankincense on hand. So, a couple of weeks ago, in the evening, I started to feel a sore throat coming on. I had been doing oils for about three weeks and as mentioned before, I’ve been skeptical myself, about what these oils really can accomplish. I thought, “Great. A sore throat.. Now what.” At the time, I didn’t have an immediate knee-jerk reaction to grab the oils yet, and when it’s something like a cold or flu virus, I want the warm, cozy, comforting hug of half a bottle of Nyquil wrapped around my alcohol-induced comatose body. Don’t we all? Sometimes there’s comfort in getting sick, right? Everyone leaves you alone, you can sleep for days and not a soul dares enter the 4th level of hell your bedroom has become. Back on track: sore throat. Since I’m giving the oils the ol’ college try (still pharmaceutical-free since August 2), I decided to use the protocol most people have suggested, Thieves on the throat. I applied topically and went to bed. Sore throat returned, Thieves again… Bed. Woke up, no sore throat. Ahh, nice. Third night, sore throat is back and brought his buddy, earache. Argh… Now I’m thinking this isn’t a cold. I don’t have any other symptoms, no fever, no cough, etc. Thieves on the throat again and sleep. I woke up the next morning with no sore throat, but I did still have the ear tickle (I DO wish it was as fun as it sounds) and NOW THE ENTIRE LEFT SIDE of my face HURTS. AHA. I know what this is! It always starts like this – sore throat, earache – extremely sensitive face, always one side or the other… Then, the blisters start. The same side of my face that hurts is also affected inside my mouth with a swarm of little, painful blisters which will burst and make anything that comes in contact feel like shards of glass. This will last for two weeks or more before I’m completely healed. I have asked my dentist about this and unfortunately it wasn’t during an “outbreak” so she didn’t see the symptoms, but she did say with confidence, “that sounds like a shingles episode”. I IMMEDIATELY made a capsule with three drops each, of Thieves and Frankenstein and took it three times that day. I didn’t have a sore throat that night and the ear ache was gone, too. The next morning is when I could typically have expected the blisters to arrive but I woke up with no blisters! In my oil journal, I wrote “no blisters!” I continued the three capsules that day and the day after and still had no blisters! Frankenstein worked! I went on to live a normal, healthy life. The end. In the interest of full disclosure, I have read many testimonials since, about Thieves tackling shingles, but I had been using it topically and i absolutely believe it was the addition of Frankincense that kept those blisters away. Sunday mornings around here are rushed. Usually after staying up later than normal on Saturday night and probably eating poorly because it’s the weekend. Surely not getting enough water in, and definitely not exercising. It’s basically a free-for-all, huh? As we are all racing to get hair finished, clothing just right, grab a granola bar for breakfast, etc.. I headed out the door with a headache. The kind you get after aforementioned free-for-all. I immediately (out of habit) ran to the cabinet for Tylenol, this after weeks of not using ANY OTC meds.. What was I thinking? Then, honestly, I was a little let down thinking I would have to use peppermint oil for my headache – not being completely sure it would do the trick. Oh well, grabbed the bag and out the door… Pulled in to the church lot and dropped two drops of peppermint in my left hand, dunked my right thumb in and pressed it against the roof of my mouth the way I’ve read countless Lemon Droppers have done. Holding. 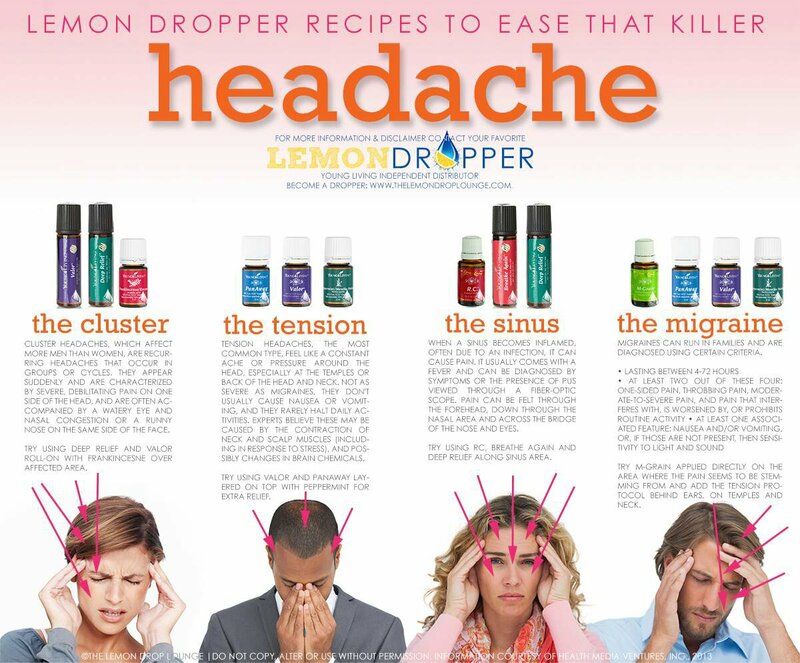 Immediately I felt my sinuses open up (as they were FORCED to do when bombarded with peppermint oil) and the headache relieved. We walked in and knelt to say hello to God and beg forgiveness for the crappy way we’ve acted all week and for help being better people in the week to come. As I knelt, I had another trick – I was inhaling the oil from the palm of my hands. Now, don’t get me wrong, I completely believe a little prayer with my oils is THE WAY TO GO, but this instant and sustaining relief was definitely nothing short of a tiny miracle. The relief lasted easily as long as any acetaminophen or ibuprofen and once I got home I had lunch, caught up on that water and went for a walk. The oils are awesome, but I still believe we must do the ground work. If you take copious amounts of OTC headache relief, you may want to throw your suffering liver and stomach a life preserver… Try some peppermint oil instead. One month, the easiest change I’ve ever made. So it’s been a month since I tried my first essential oil for anything. Wow. What a month. I’ve not needed anything for my chronic pain, headaches, allergies, nausea, stomach upset, to wake up, to go to sleep, for stress or anxiety… And I’ve been happy. I mean… Really happy. I am free from the side effects. I can’t feel my hair grow when I use my oils (like I do on Percocet! ); I’m not edgy. I’m not tired. I’m not mean. I’m not stressed. I’m not constipated (see also, “I’m not mean) everything isn’t REALLY LOUD (see also,”I’m not stressed”). Everything is grand. I even stood in line at Hobby Lobby behind a woman who apparently needed eleventy hundred rain checks for some flower she was buying for an upcoming wedding. I out stood every single one of the dozen people behind me as I watched them check out and leave while I STILL STOOD THERE waiting… The woman was clearly feeling bad for having kept me, and normally I would have scalped her in my mind because of how terribly impatient I can be. Not this time. I had the forethought to apply Valor (the true love of my life, sorry hubby.. You may be 2nd) – to my neck and shoulders while running my errands just prior. I chatted away with the woman and even let her tell me about the Italian (drool) cookies that they were making that day. If you know me at all, you know THIS IS ABNORMAL of me… I can’t stand to wait. I also am constantly seeing a way to do things faster and better (not because I’m a know-it-all, but because I have ever a genuine interest in time efficiency!) and standing there would normally have made me go out of my mind. After we chatted and I got myself checked out, I was happily on my way.